Everyone knows that a Mediterranean diet is good for you. With its focus on fresh salads, vegetables, fruits, olive oil and fish, and a distinct lack of processed, saturated fats it’s a diet that is good for anyone. But the Mediterranean diet could have some particular benefits for the elderly. There are all kinds of dietary fads, with a new one seeming to surface every week. No-carbs, high carbs, cabbage soup, lemon detox. The list goes on and on. The unifying theme with all of them is that they tend to be short lived with little evidence to support them. Not so for the Mediterranean diet. It’s been around for centuries, and given the longevity of people in the area and their relative sprightliness in old age the evidence of its benefits is clear for all to see. 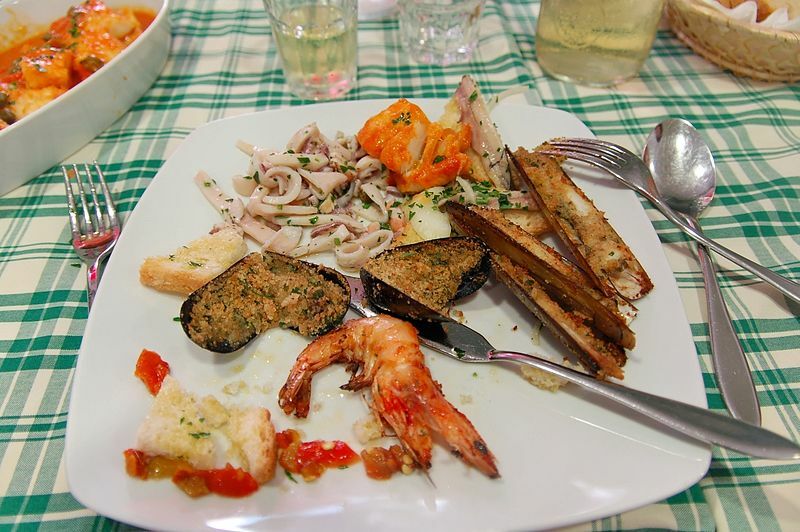 These are some of the main benefits of eating the Italian way. Thanks to the relative paucity of saturated fats, thanks to low levels of dairy and red meat, a Mediterranean diet is great for keeping cholesterol and blood pressure low. Because elderly people are at high-risk of heart conditions this is particularly important. One study showed that people aged 70 to 90 who followed a typical Mediterranean diet were 23% less likely to die in a two year period. The Mediterranean diet is full of fish, olive oil, chicken and other foods high in Omega 3 and 6 oils. These oils have been proven to be essential for your brain and a couple of recent studies suggest that the diet helps stave off mental decline, and could be beneficial in reducing a person’s risk of dementia. A lot of the foods in the Mediterranean diet are loaded with calcium and other nutrients that help keep bones strong and joints supple. For old people this is absolutely vital as our bones become more fragile when we age and can be badly broken in falls. Unlike the copious amounts of beer and hard liquor consumed by us Brits, people in the Mediterranean tend to drink relatively small but regular quantities of red wine. The consumption of red wine in small amounts, such as a small glass with dinner a few times a week, has been shown to be good for your cardiovascular, digestive and immune systems. This isn’t a free ticket to put away two bottles of merlot a week though! Of course diet alone isn’t enough to let you keep running a marathon while doing the crossword until you’re a centenarian. But the evidence of its benefits is clear, and by combining it with regular moderate exercise it can be excellent for older people, keeping them fit and healthy into their old age.